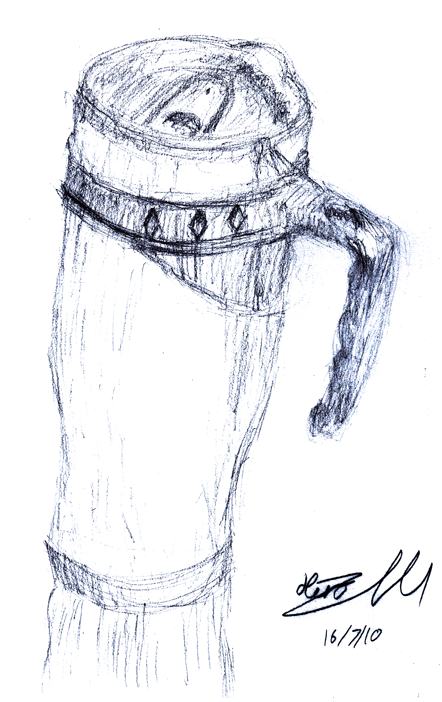 Bounty - "Bounty: “Coffee Flask-cup” -Simon"
A bounty put up by Simon to draw a real object (not a cartoon). The nearest object right in front of me was my erstwhile drinking vessel. I find drawing like this to be very difficult, especially considering I was still using a mech pencil. I suppose it’s something I should practice more; it definitely helps with dimensions and proportions. Should really find my old thick pencils if this becomes a habit though. It does look quite realistic. I agree though, it looks very realistic. Nice job.